Prosecutors claim the driver was speeding and using his cell phone when the school bus drifted into oncoming traffic before hitting a pole and wrapping around a tree. 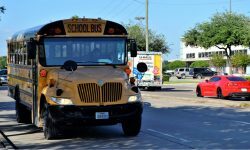 A 13-year-old Texas student took over behind the wheel while another student talked to police on the phone and comforted younger passengers. The last three years’ worth of inspection records of a school bus that crashed and caught firing, killing two, have been sealed by the state of Iowa. Investigators are trying to determine if the school bus was part of a recall that required electrical system repairs on certain 2005 models. 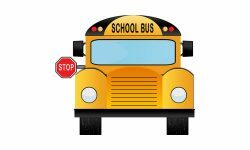 How Will Your School Bus Drivers Respond to an Emergency on the Bus? With repeated viewing of Campus Safety HQ’s new training scenarios, drivers develop skills to face problems that might occur. 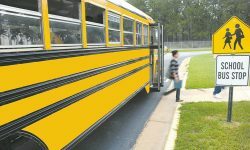 The new start times aim to promote better sleep patterns in high schoolers and to allow elementary students to walk home in the daylight year-round. Baltimore County Public Schools has invested $13.6 million in school security after a 2012 shooting at Perry Hall High School. A student says rescue crews had to saw through the school bus and break windows to get trapped riders out of the wreckage. 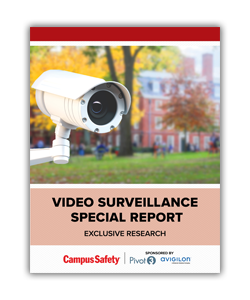 The school bus cameras are meant to improve student safety and deter bullying. SmartZone for Schools is a radar speed display with audible alerts that sound when a vehicle is traveling over the speed limit when passing the sign.